Ever fancied leaving messages for people in your toast? Well, don’t dream it, live it. A Kickstarter project is currently running to create the Toasteroid - “the first app-controlled smart image toaster”. What does that mean, we hear you say? Why do I need this in my life, you ask? The inventors claim that “An ordinary toaster turns bread brown and that’s the ONLY thing a toaster can do. Toasteroid can be your personal Weather Forecaster, Private Messenger, and Doodle Pad. The opportunities to create breakfast-based LOLs are endless. Need to declare your undying love for someone? Want to broach a tricky subject with your better half? Need to leave a passive-agressive message for your housemate about the washing-up? 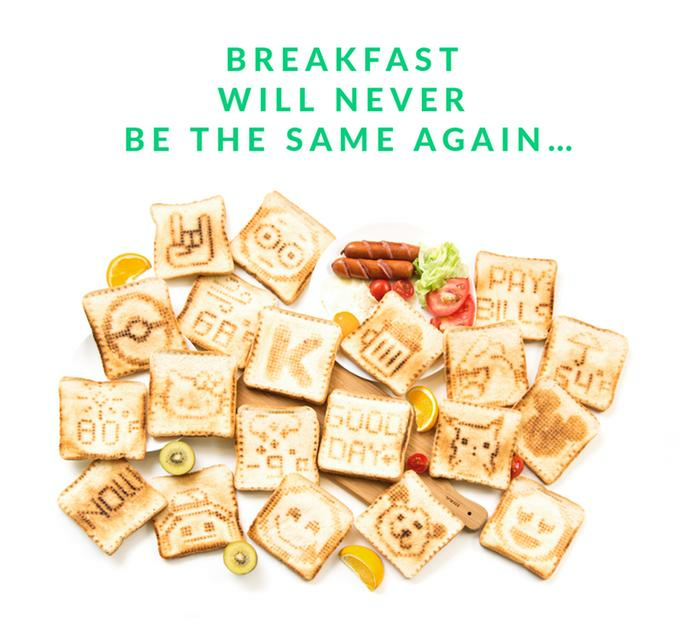 Now you can say it with toast! Interested? Then you’ll need to pitch in with some actual money to make this dream a reality. The inventors are aiming to raise $150,000 (about £115,000 with the current exchange rate, tch) by 19 September to get the Toasteroid onto your breakfast table. “Remember the last time you were THIS excited for a breakfast?” asks the pitch, not unreasonably.